Former Vegas Sports Book Director has you covered with daily selections from NFL, College Football, NBA, NHL Hockey, College Basketball, CFL, English Premier League, and Major League Soccer. Don't forget my 'Other Sports' section, as we are having a monster run in the UFC and Boxing plays. The biggest mystery in professional sports handicapping has been revealed! Raphael Esparza, aka the Vegas Sports Informer, has come clean as the man behind one of the most successful and most consistent handicapping records in the country. 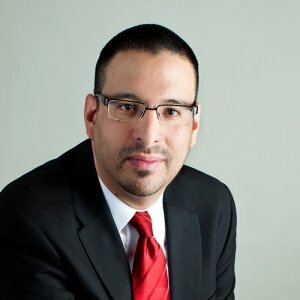 Raphael Esparza has over 13 years of experience as a sportsbook manager at four of the biggest, most well known sportsbooks on the Vegas Strip. His position has given him contacts and access to the sharpest lines and action in the industry, and he has used that to help his clients earn a ridiculous amount of cash over the last several years. Raphael is one of the first handicappers to get the dirt on anything from injuries and suspensions to soft lines and late line movements. And he uses this info to stay one step ahead of the general betting public. The well-connected Esparza has more than 18 years of sports handicapping experience and has spent the last seven years with Doc's Sports as The Vegas Sports Informer. Raphael literally set and adjusted the lines at some of the biggest books in Las Vegas so no one has a better understand of how the sportsbooks operate than him. Raphael's success stems from his power ratings and thousands of trends personally tracked over many years. These have proven to be winners time and time again. Esparza, an Indiana native, has been one of the most consistent moneymakers in the industry. He is generally considered to be the best NBA handicapper in the country thanks to a remarkable seven consecutive winning seasons. That includes an amazing $10,000 in profit for $100-per-Unit bettors last season alone and Raphael is going to keep the streak alive this winter. Also, follow me on Twitter at @VSIdocsports. Getting the inside scoop from the Vegas sports books is what gives Raphael the edge. He has an elaborate network of contacts inside and outside of the major casinos all over the country. He also travels all over watching games from the best seats in the house, personally scouting players and teams to help him and his clients make money. When you sign up for picks from VSI, his detailed analysis will tell you why you are on the right side of these games and his winning record can't be disputed. 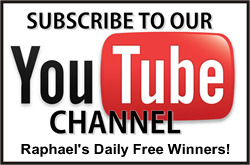 Raphael has been delivering winning results in NFL, College Football, NBA, College Basketball, WNBA, Soccer (World Cup, Euro Cup, English Premier League, Champions League, and MLS) and MLB Baseball in his years with the Doc's Sports team of handicappers. Be sure to check the "Informers Daily Power Source" to the left for daily updated free picks and information, as well as updated articles.